FBLA OPERATION CHRISTMAS CHILD IS A SUCCESS! 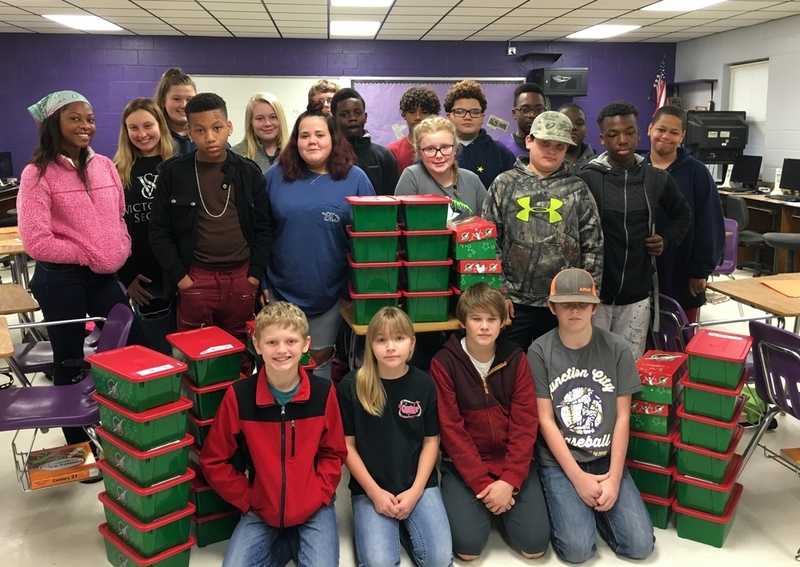 Thanks to Mrs. Carelock’s first period class who brought the most boxes and made the collection a success! Her first period will enjoy a spudnut party on Friday. Special thanks to Ian Girard and his mom for their extra special work. We collected around 60 boxes! Thanks for all who gave!